A killing in Bamyan Province highlights the difficulty that Afghanistan is having in trying to find a new societal balancing point. Despite Afghanistan’s overall troubles, things had been going relatively well in Bamyan Province – until this year. Taliban-related violence had been minimal for much of the past decade, and the inter-ethnic tension seemed in check. Unfortunately, armed incidents started to increase in 2012, as US and NATO forces handed over responsibility for security to Afghan troops. And at the outset of the year, a nascent sense of inter-ethnic tolerance came under renewed threat. The catalyst for a rise in inter-ethnic tension was the January 22 death of a 16-year-old Hazara girl names Shakila. She died under mysterious circumstances in the house of Sayed Wahidi Beheshti, a member of the local Provincial Council, in Bamyan Center. Some witnesses say they heard a gunshot coming from the house on the day Shakila died, and many in Bamyan believe she was raped and murdered, possibly by Beheshti. Others maintain that she committed suicide. Local prosecutors closed the case due to lack of evidence. But civil society activists staged several protests, demanding that the case be reopened. 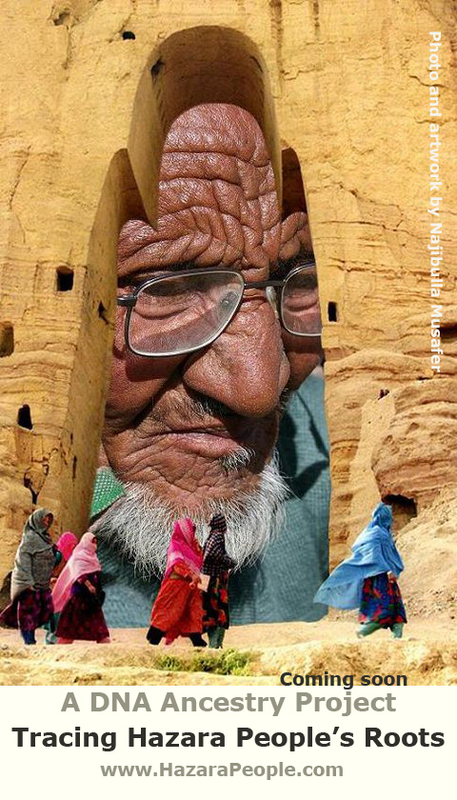 Some local observers cast the case as an indicator of shifting power relations between ethnic Hazaras, who make up the majority of the population in Bamyan, and Sayeds. Sayeds are believed to be the descendants of Prophet Mohammed, and hence are ethnically Arab. While some intermarriage does occur, the belief that Sayeds are ethnically distinct remains. Hazara girls sometimes marry into Sayed families, although it is generally considered taboo for Sayed girls to marry Hazaras. 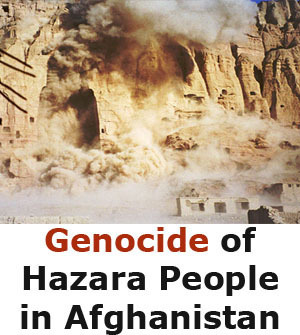 Hazaras have a long history of oppression in Afghanistan. In the late 1800s, Shah Abdur Rahman set out to extend strong administrative state power over the Hazarajat, the central mountainous area that is the Hazara homeland. The wars against the Hazaras were brutal. With distinctive Asian facial features, Hazaras are easily distinguishable from most other Afghan ethnic groups. Furthermore, as Shi’as in a majority Sunni country, Abdur Rahman was able to brand Hazaras as heretics. 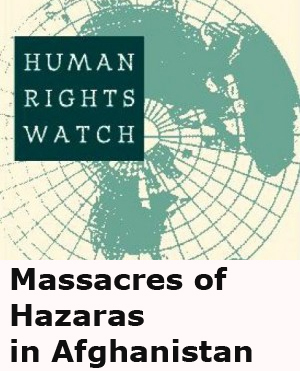 As a result of several failed uprisings, as much as 60 percent of the Hazara population perished. They lost their most fertile farmland, were subjected to harsh taxation, and many were sold into slavery. 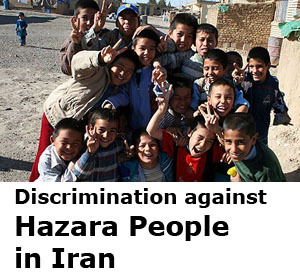 Persecution persisted into the 21st century, as Hazaras were effectively denied access to higher education before 2001. 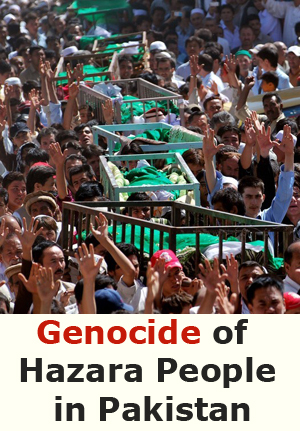 Hazaras were also singled out and killed in large numbers in the 1990s by the Taliban because of their Shi’a faith. Sayeds traditionally are respected as descendants of the Prophet. In the past, this translated into economic benefits, as many Hazaras gave traditional Shi’a taxes known as khums to Sayeds. Sayeds used their respected position to gain political power, particularly during the years of the Soviet invasion. They controlled the Islamic Revolutionary Alliance Shura, a governing body set up to administer and protect the Hazarajat as the central government was too weak to at the time. In fact, Wahidi Beheshti’s father, Ayatollah Sayed Ali Beheshti, led the Shura. Another one of his sons, Fakuri Beheshti, is currently a member of Parliament. Qurban was eventually released, and prosecutors then suggested that this was not a murder, but rather a suicide. Forensic evidence, however, indicates that Shakila did not shoot herself. Prosecutors then declared that there was not enough evidence to arrest anyone, and closed the case. Activists arranged two more protests, one in Kabul on July 31 and one in Bamyan a week later. President Karzai, hoping to appease the protestors, chose a five-person delegation from Kabul to investigate. This investigation was, according to activists, flawed, as only two of the five selected even went to Bamyan. These types of inconsistencies lead activists to believe that powerful Sayeds are protecting Beheshti. According to Barat, “All of the Sayeds in important positions, such as members of the Parliament, are protecting Beheshti and influencing the prosecutors to ensure that the case remains closed.” Additionally, several of the main activists protesting the case say that they have received threatening phone calls. Barat himself was kidnapped and beaten, although he managed to escape. 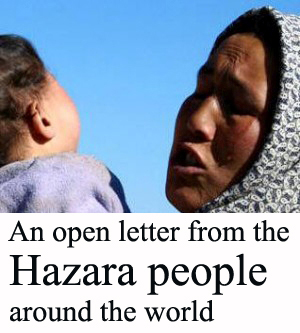 Not all of the activists, however, believe that this case should be understood as a conflict between Hazaras and Sayeds. Taeba Khawari of the Civil Society and Human Rights Network said, “First, we have to remember that this was an innocent girl who was killed. It indicates the ongoing problem of violence against women.” Khawari does, however, believe that Beheshti is using his position and his family connections to protect himself. Several commentators insist that the case indicates Hazaras are no longer willing to offer the same degree of deference to Sayeds that they did in the past. There is disagreement as to whether this is a positive development. A local Hazara pointed out that Shi’as have suffered from so much discrimination in Afghanistan that they should stand together. He believes that activists should back off from the Shakila case, so as not to upset the relationship between the two groups. Sayeds working in Bamyan report that they have not noticed any difference in their treatment by Hazara colleagues since the case began. All agree, however, that there is a change in the degree to which Hazaras are willing to hold Sayeds to an exalted position. All also agree that the truth about Shakila’s death, whether murder or suicide, should be investigated. Editor’s note: Melissa Kerr Chiovenda is a PhD candidate in anthropology at the University of Connecticut. She is currently conducting field research in Bamyan, Afghanistan.